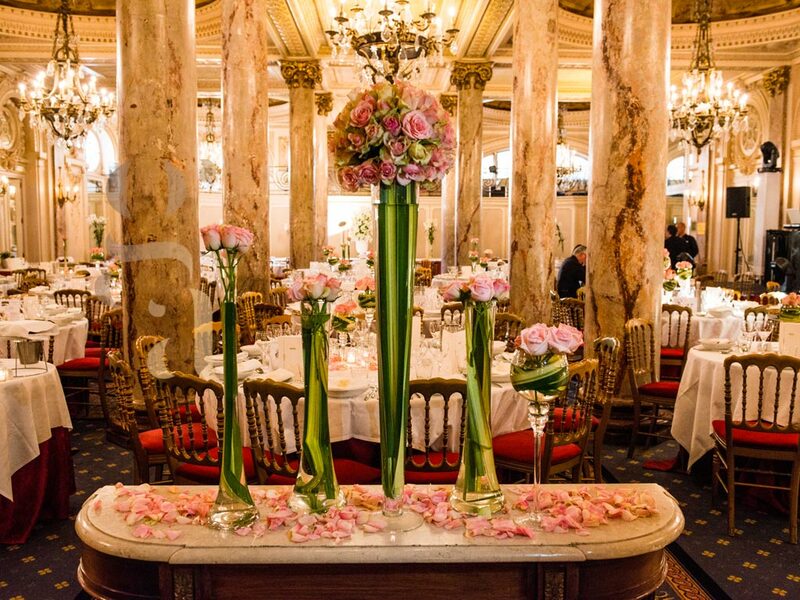 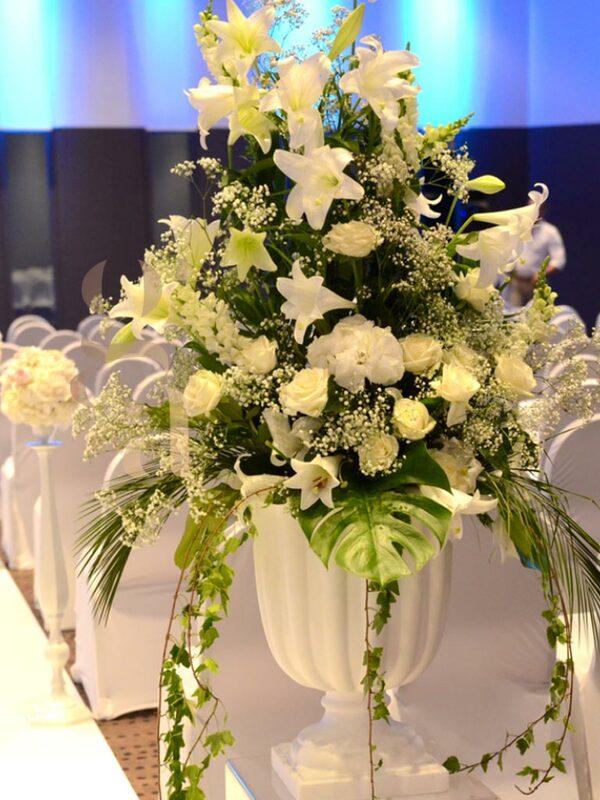 It is all our know-how in the art of floral decoration, assembly, presentation that we put at your service. 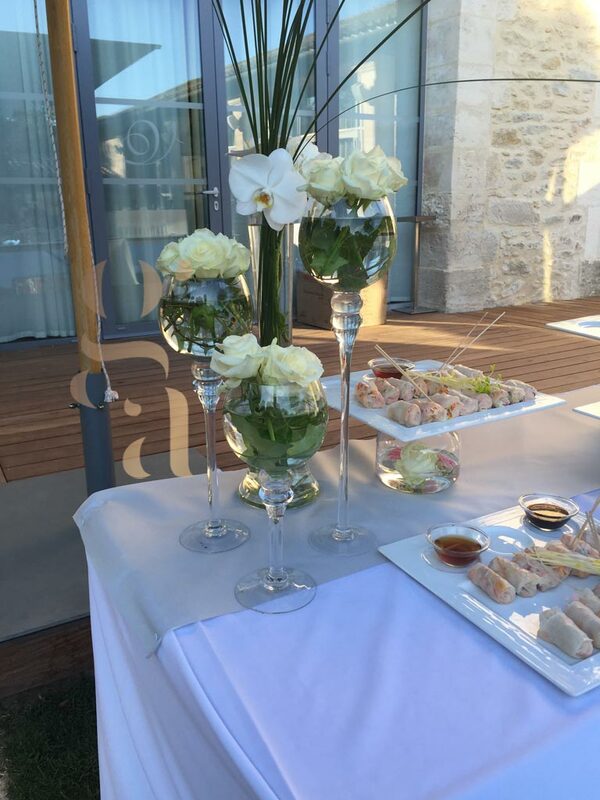 All our creations come from Gustavo’s imagination and are made with taste and attention to detail. 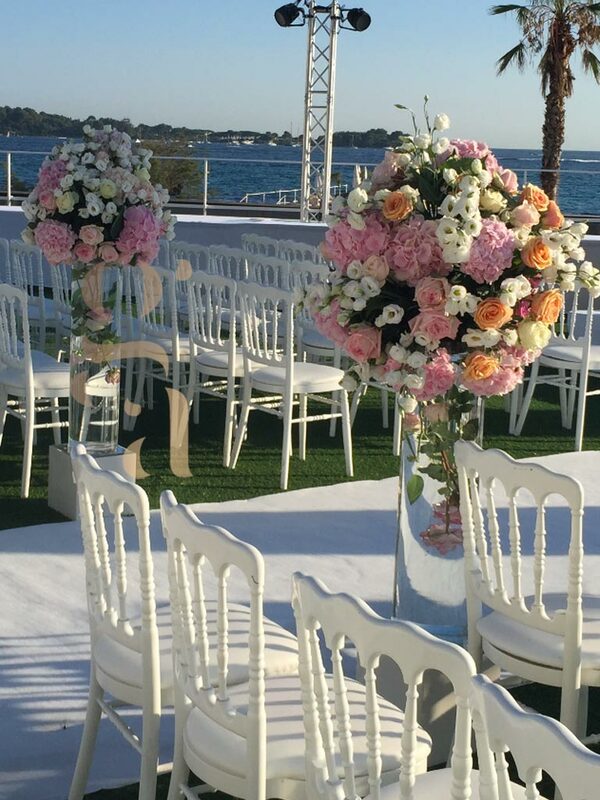 Available in the shades of your choice, chosen and made with the greatest care, our unique creations, imagined and created to add a touch of floral decoration, magic, beauty and romanticism to your wedding. 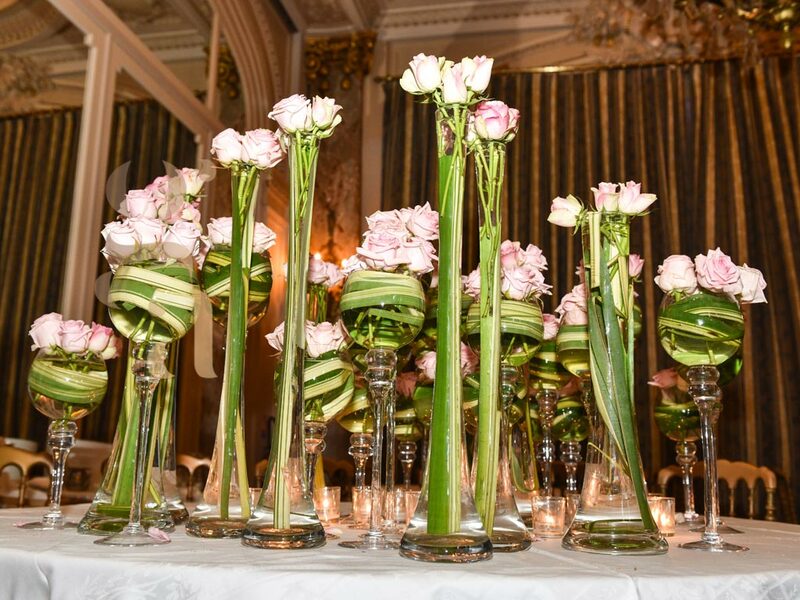 The art of handling flowers in their colours and associations will give a magnificent rendering and will sublimate each place where a creation will appear. 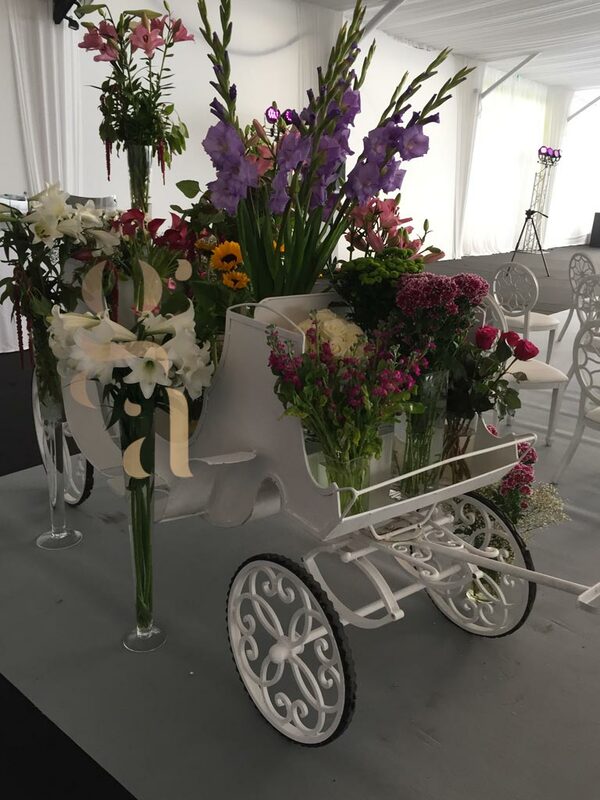 Integrated in a decorative element, in a cage or a carriage, in the atmosphere that you wish to give to your event, the flowers will take a magical dimension. 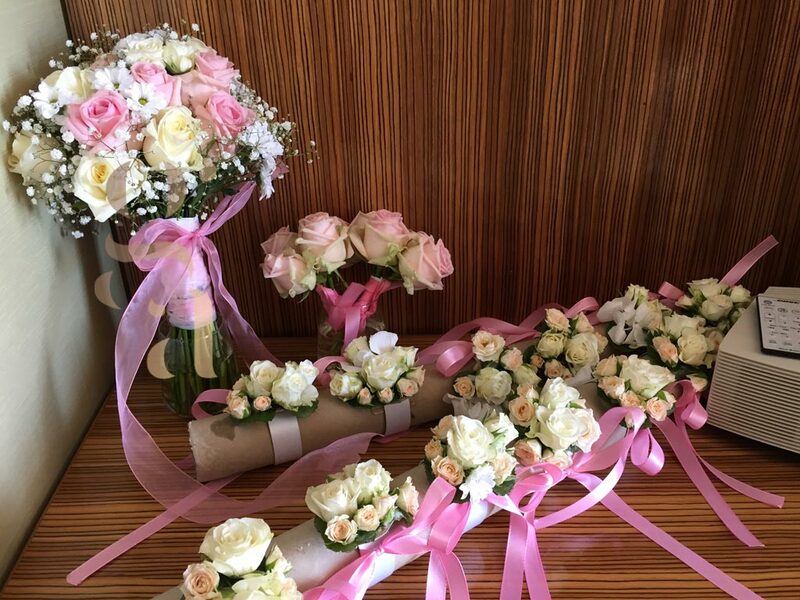 Our unique know-how in floral art for wedding is at your service to accompany you, advise you and finally to create your floral compositions, floral decorations and bouquets of wedding flowers. 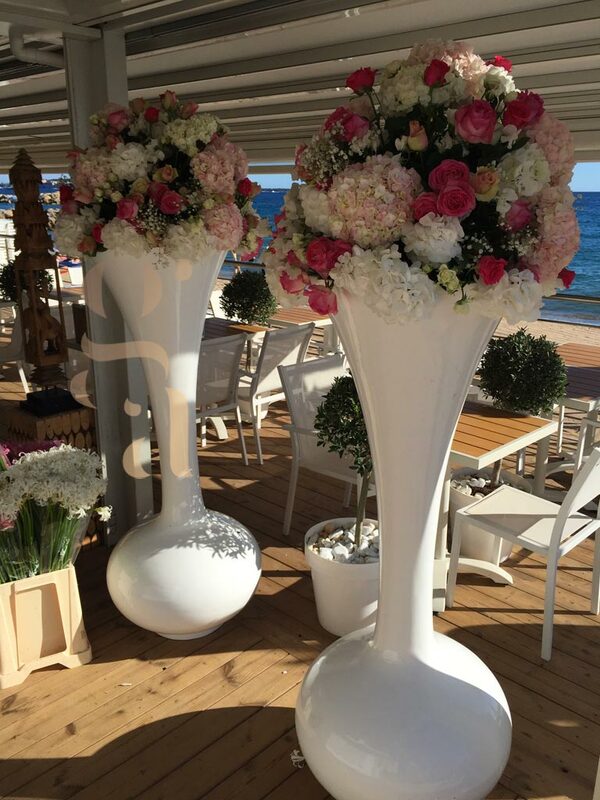 Pastel colours, more intense shades… your choice will be ours! 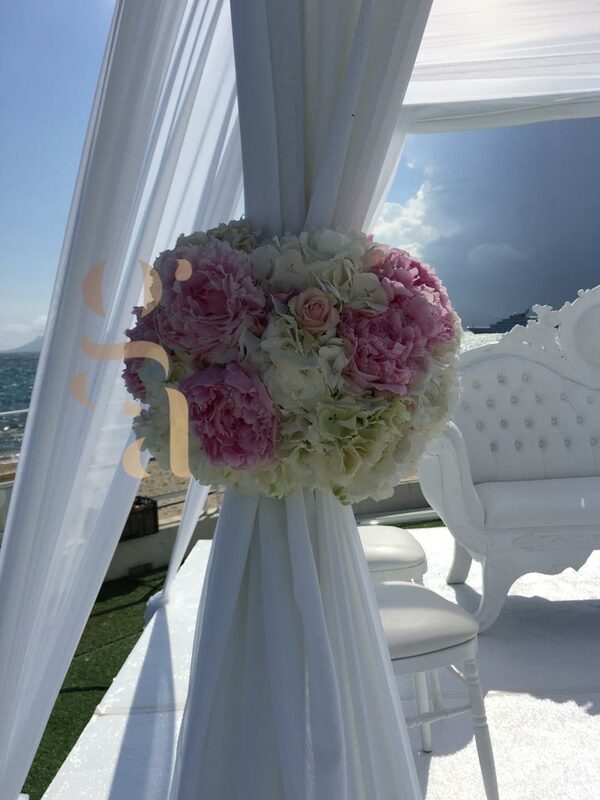 Original or simple, we adapt ourselves to your desires and will take the time to listen to you, to create the bouquets of flowers, to embellish your decorations with flowers which will find their place and will be integral part of the decoration. 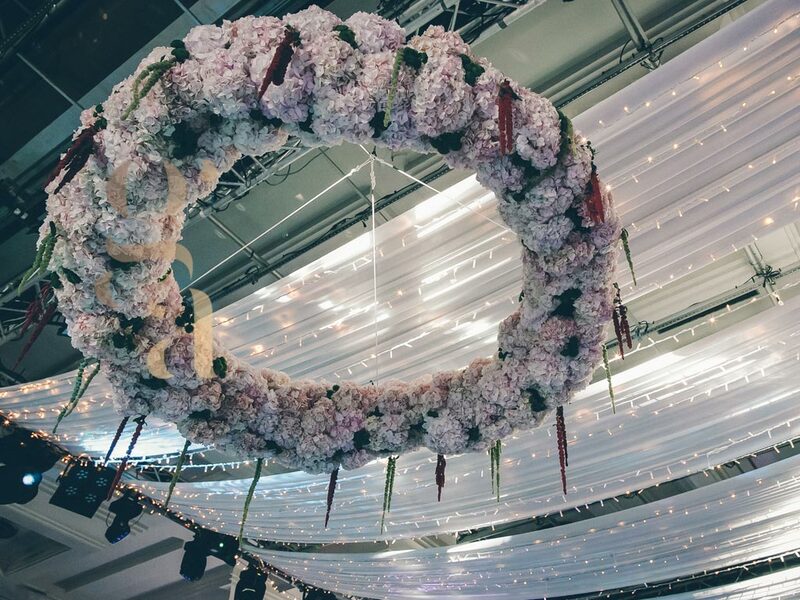 Flower wreaths, flower bouquets in vase in all simplicity, flower paths, floral accessories, suspensions, our imagination knows no limit to color your days and parties. 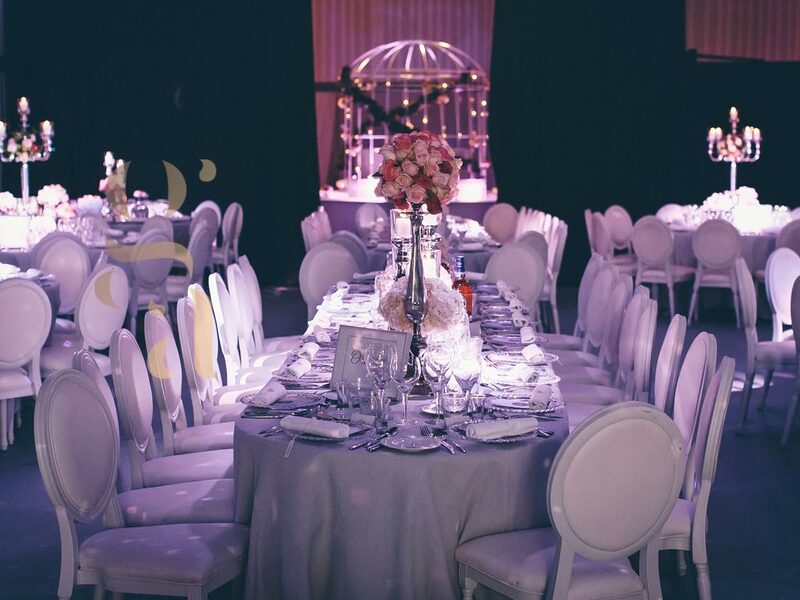 From the place of the ceremony to the decoration of atmosphere for the reception while passing by the centers of tables, everything will be thought with the greatest care and taste so that your wedding, in all its stages, is marked by beauty! 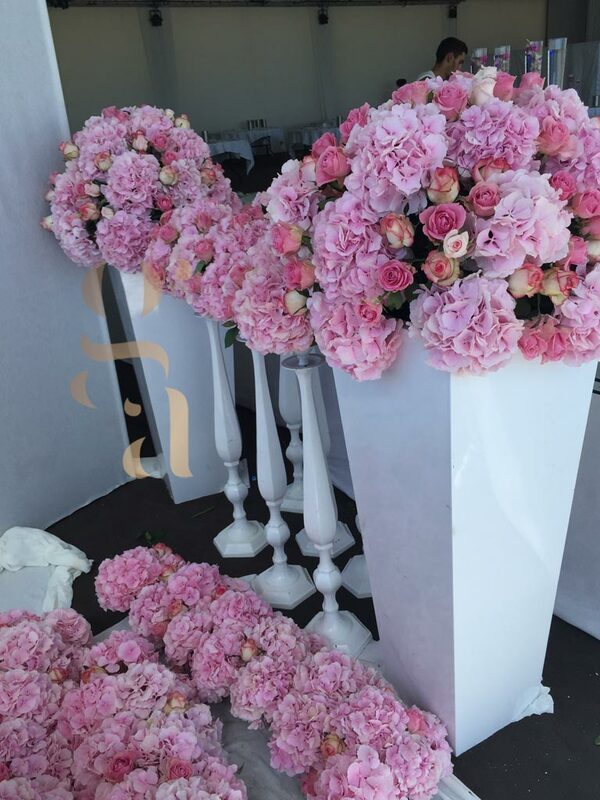 The language of flowers has no secret for us and we are able to make you floral decoration creations of a rare quality and great beauty. 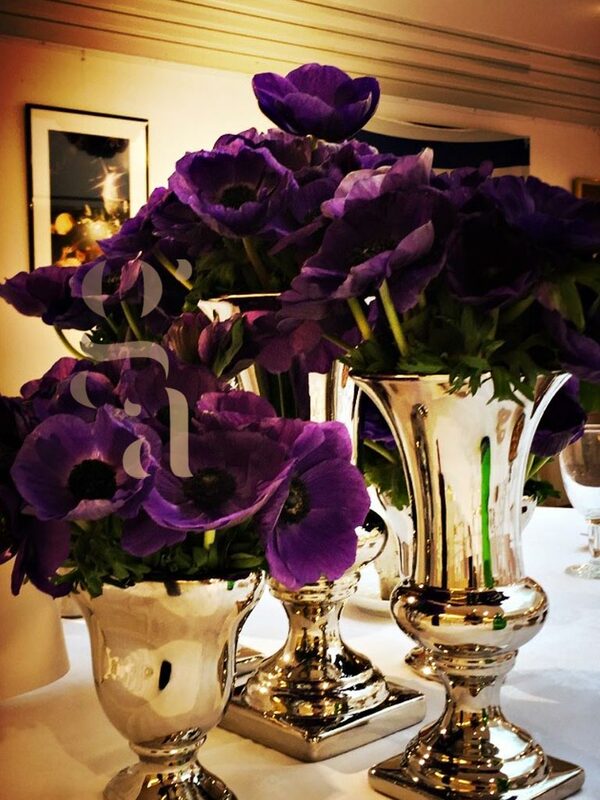 There are flowers for every occasion, to say and transmit thousands of things. 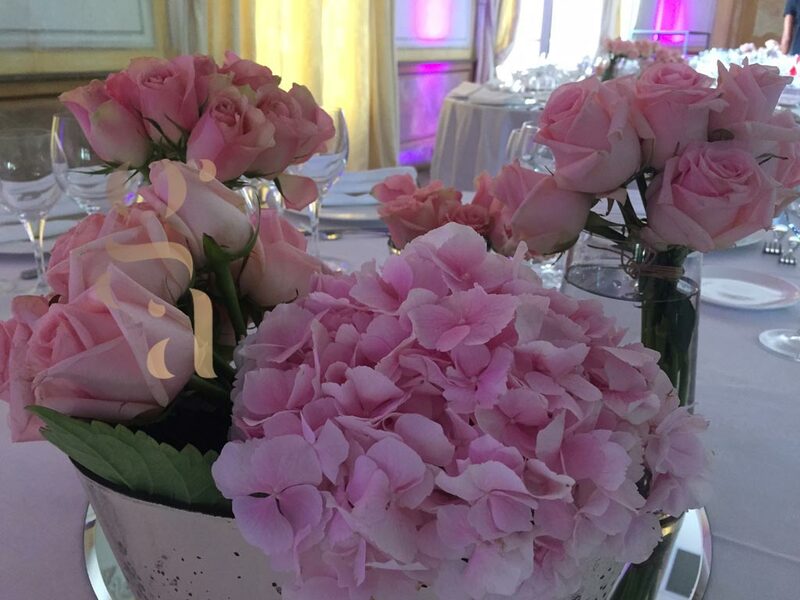 Their presence alone gives a touch of nature and serenity. 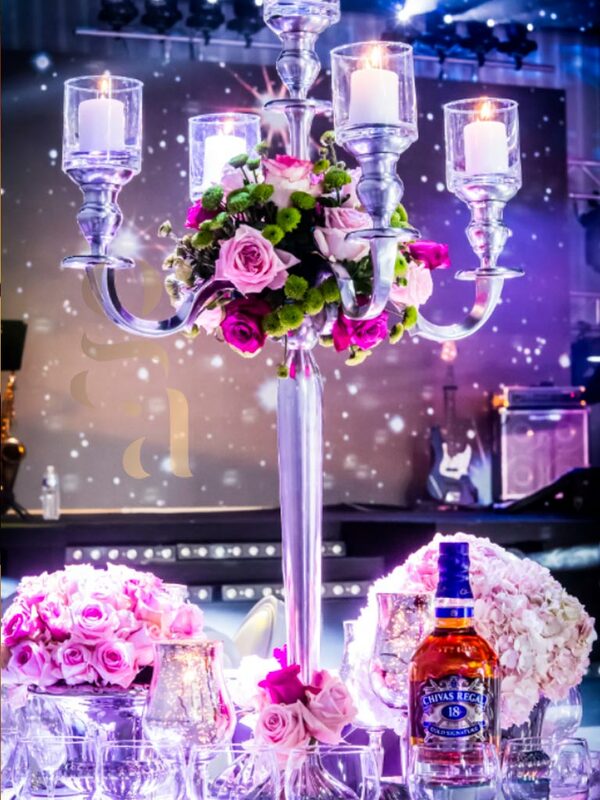 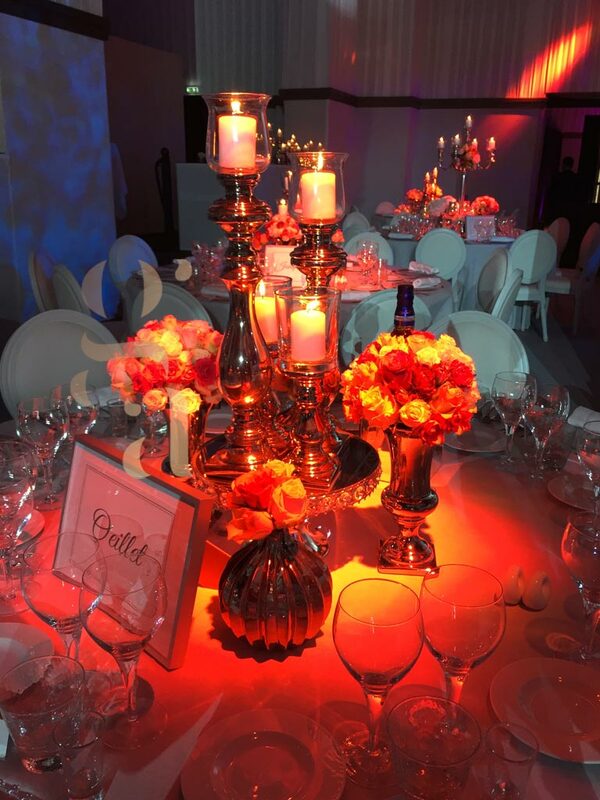 By playing with the colours of the flowers and the lighting, we will create a magical atmosphere while respecting the colours chosen for your party. 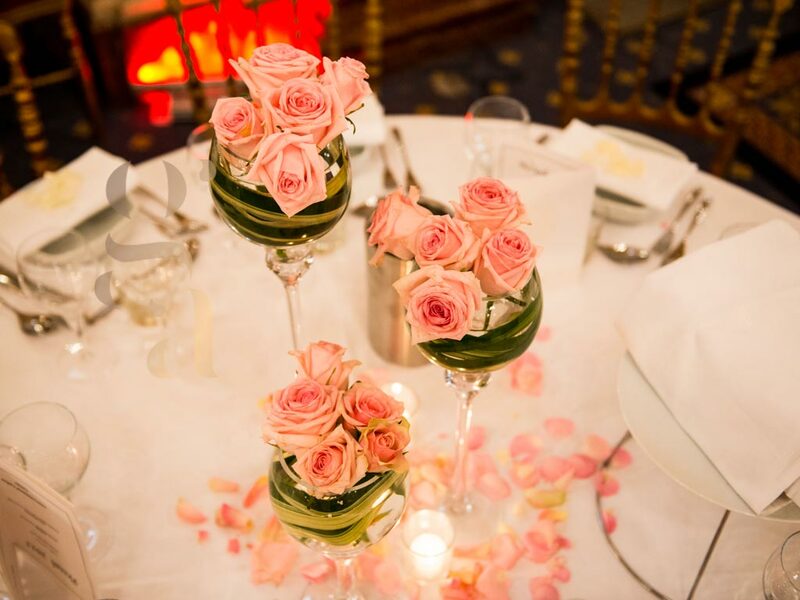 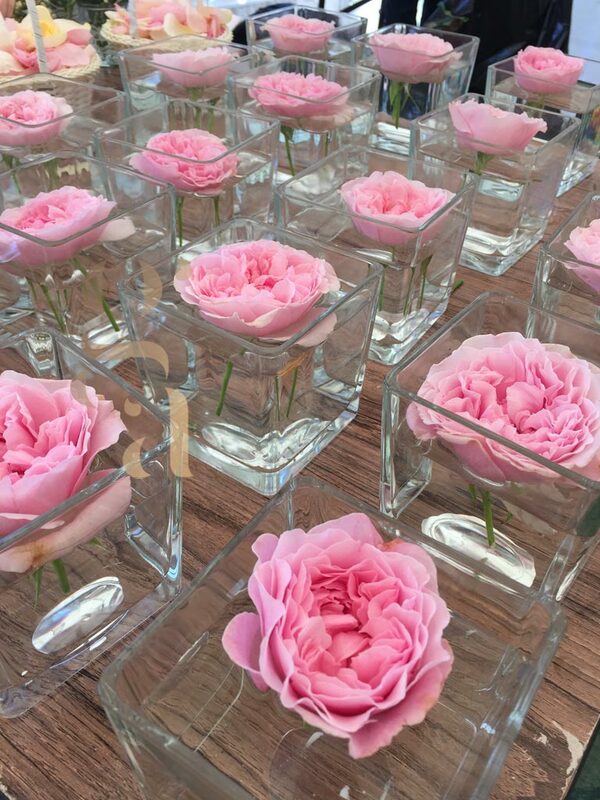 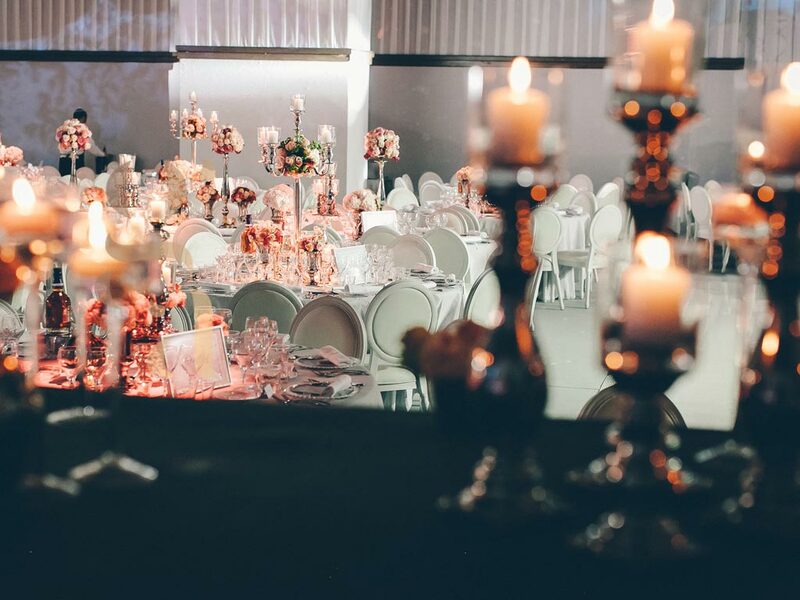 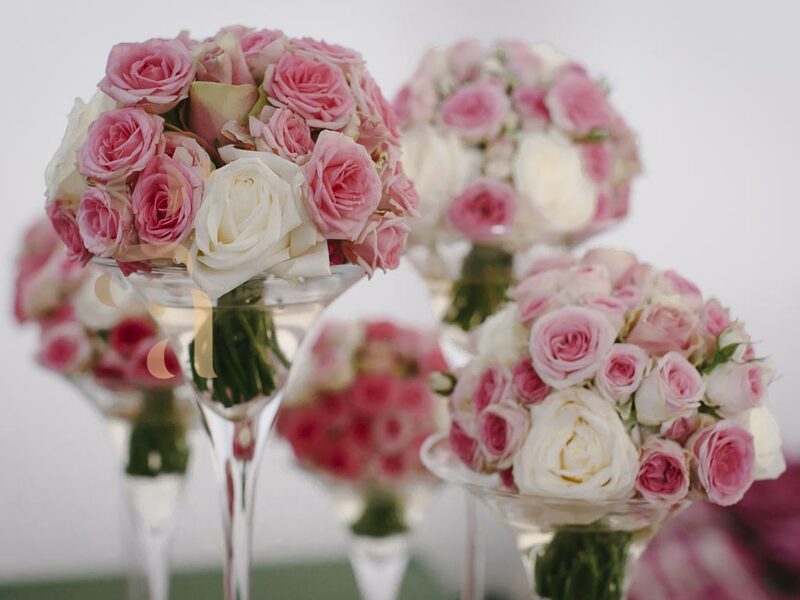 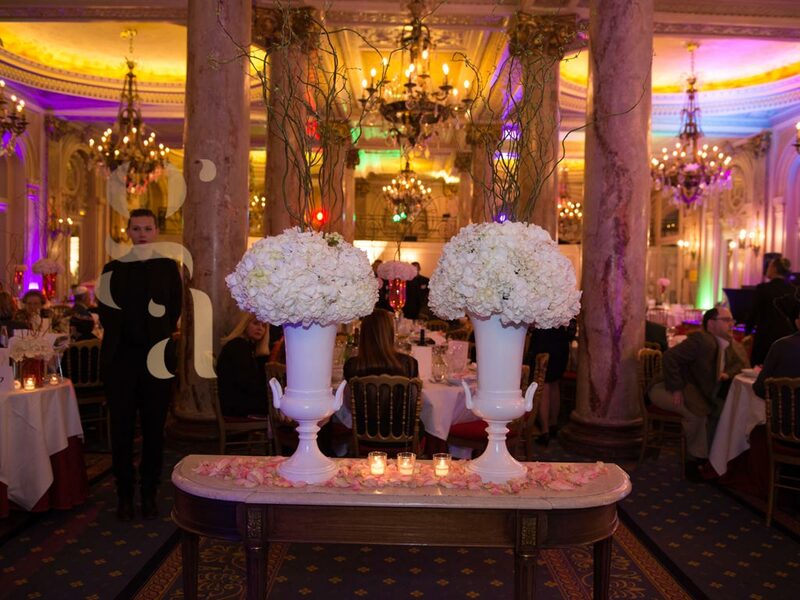 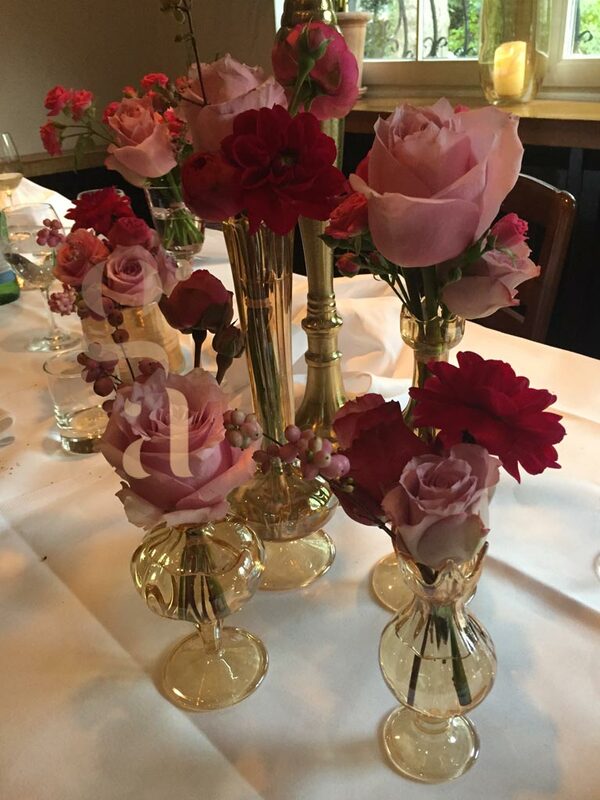 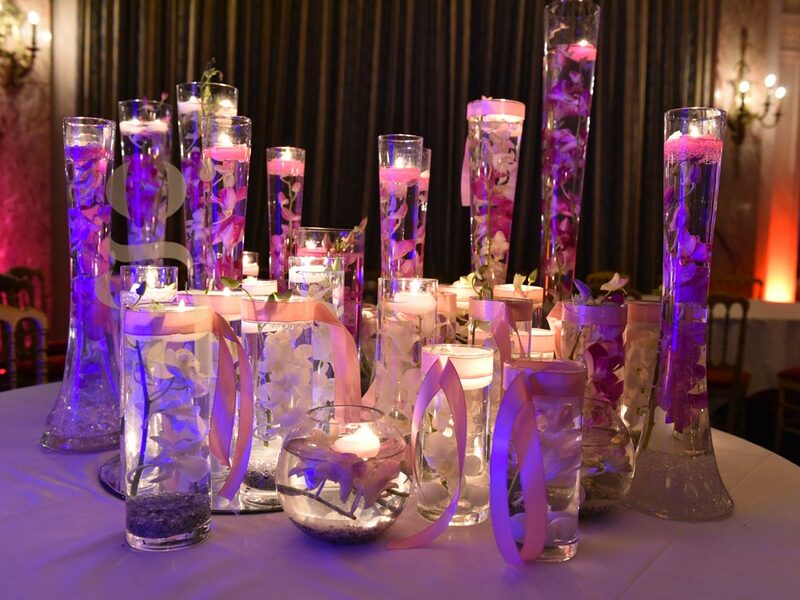 An unlimited range of choices, sizes, pastel or vivid colors, types of flowers, arrangements, presentations, and associations between them, make them unique creations for unique parties. 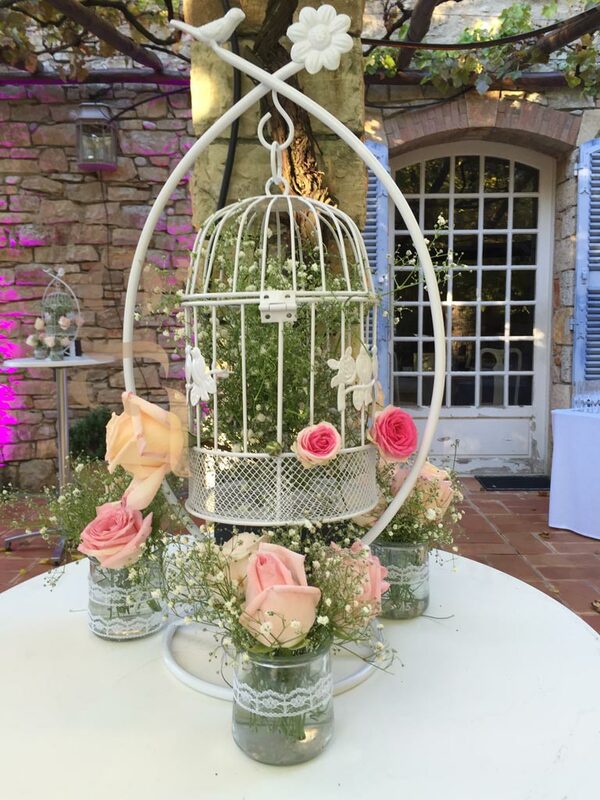 From the small ceremony to the garden party, all weddings are celebrated surrounded by flowers and bouquets, in simplicity or extravagance. 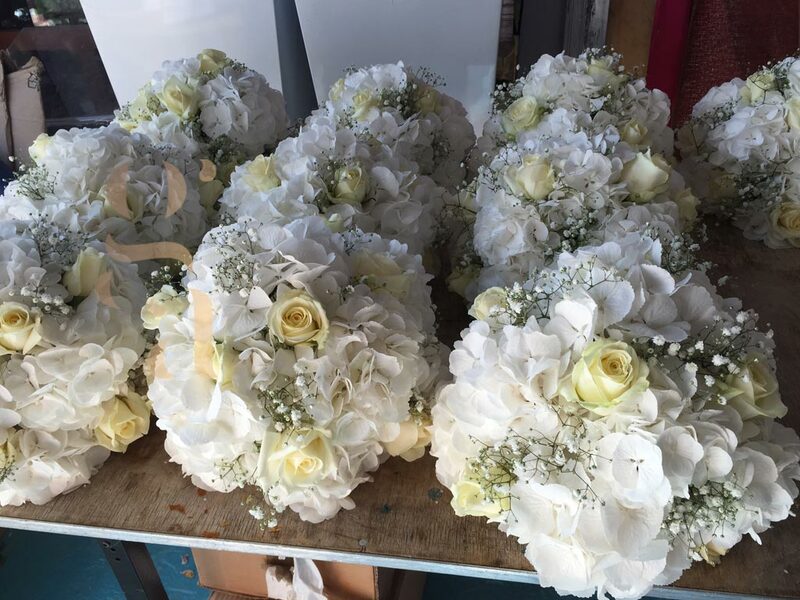 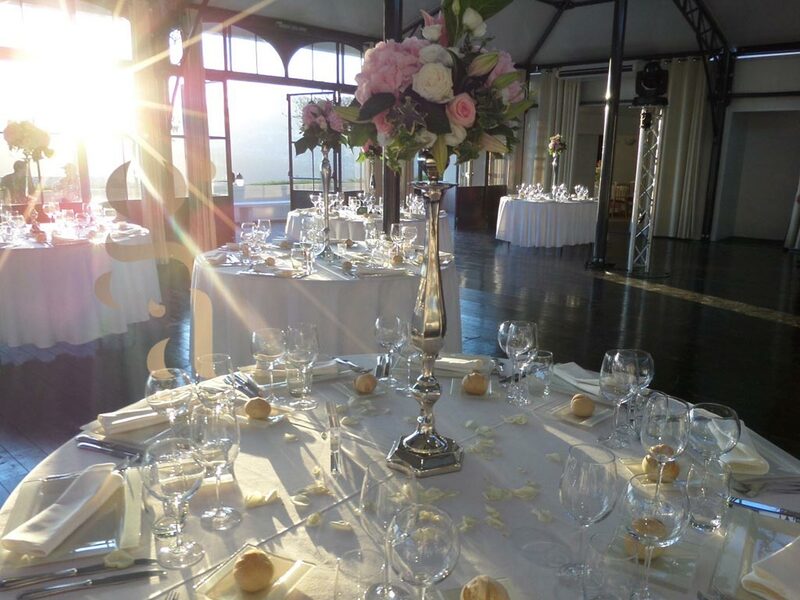 The bride can choose to trust us for the bouquet of wedding flowers that she will wear and that will perfectly match her dress, for the men’s buttonholes or to complete the children’s outfit. 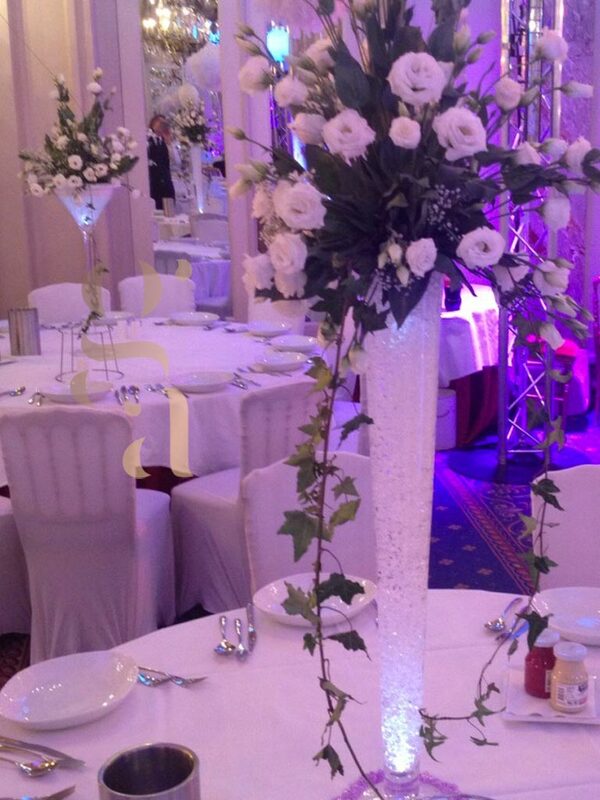 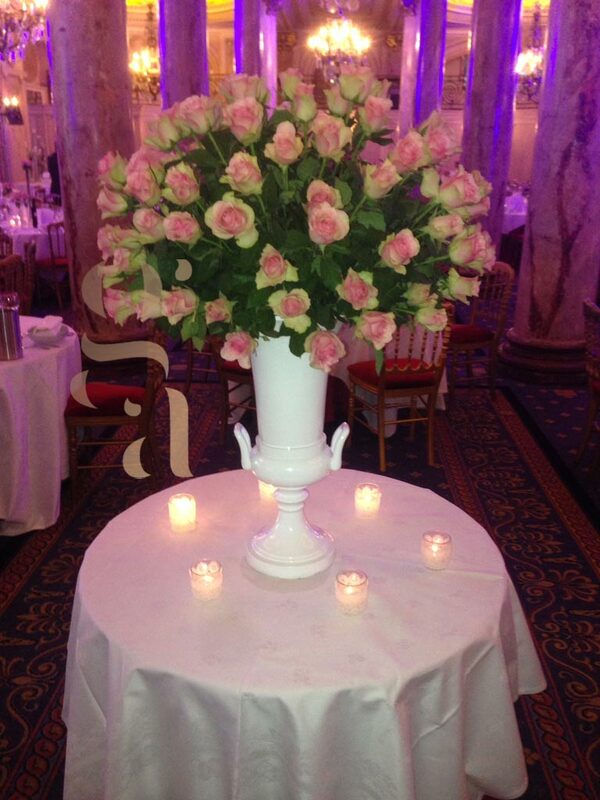 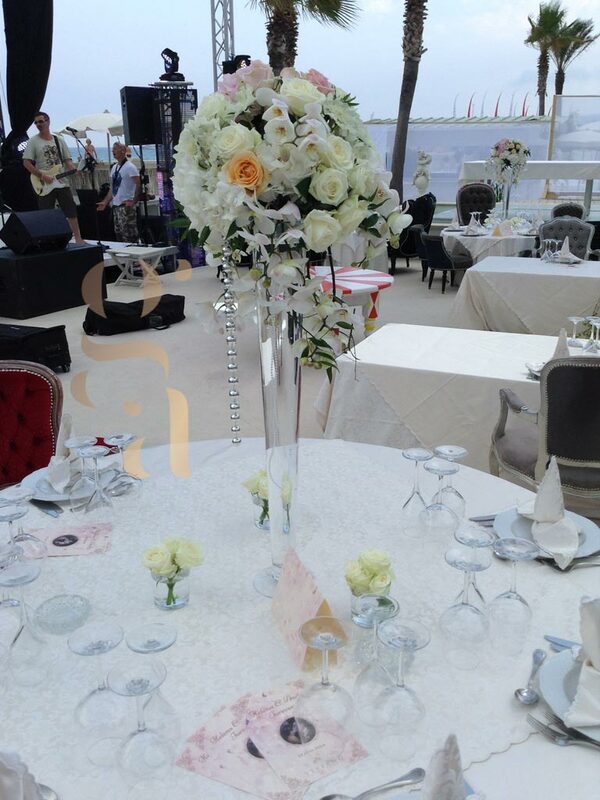 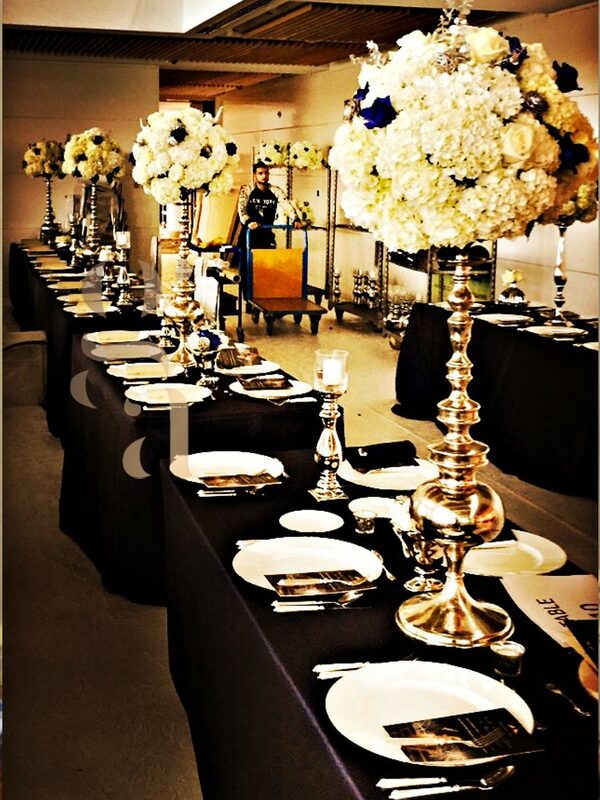 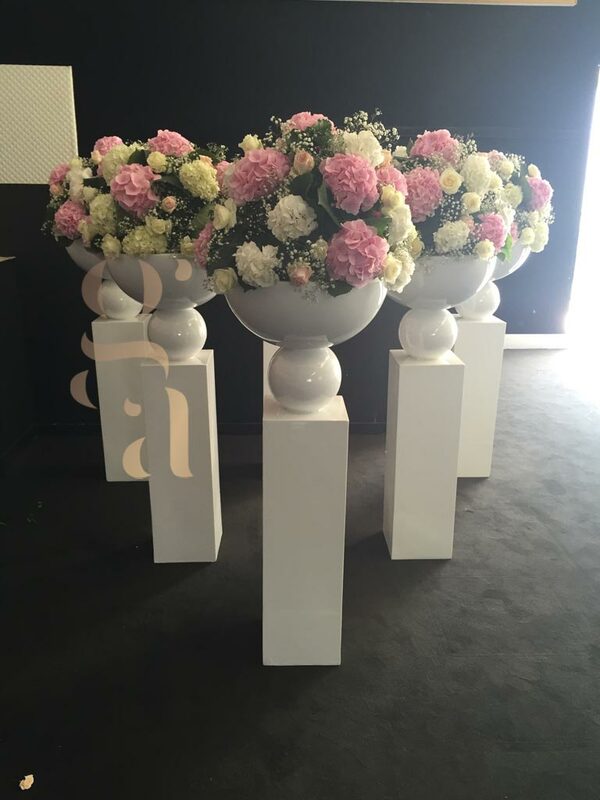 Our sense of aesthetics will be your greatest asset so that all floral creations are chic and exceptional. 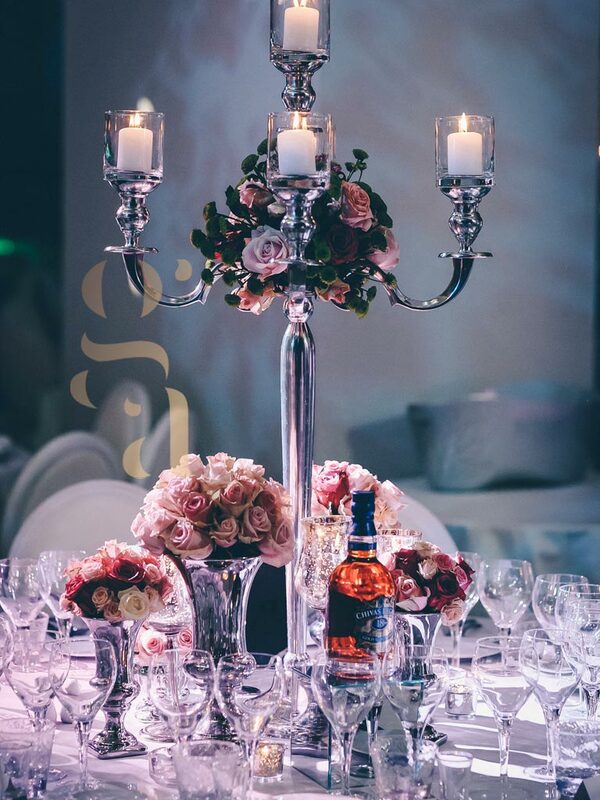 Always available for you, we are at your disposal to bring your ideas to life. 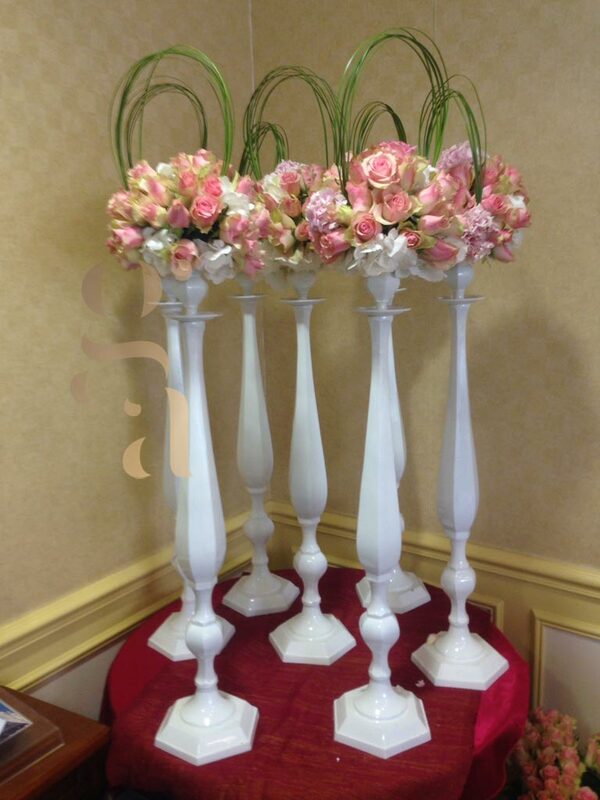 Out of inspiration? 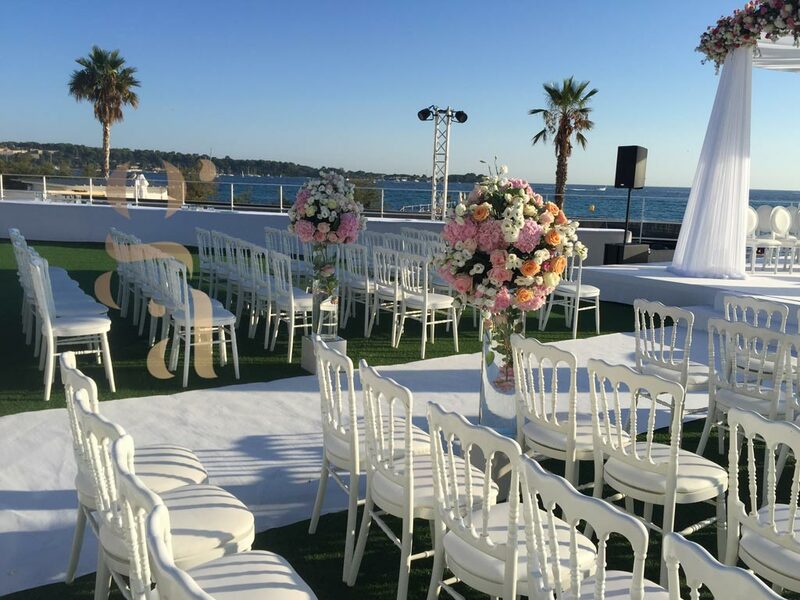 we will propose solutions to you, you will only have to choose those which correspond best to you, and which will integrate perfectly with all the other elements of decorations and in the style which you wish to give. 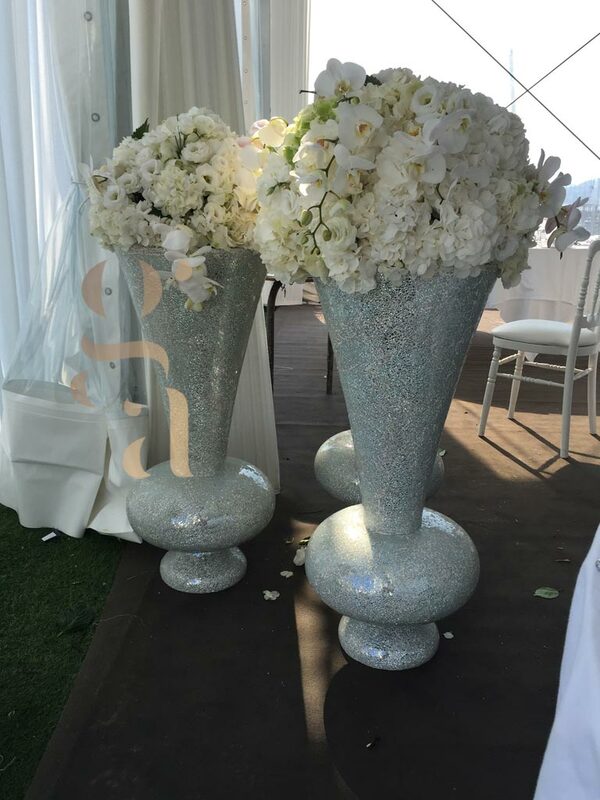 Do not hesitate to contact us so that we can determine with you the floral compositions and floral decorations which suit you and resemble you. 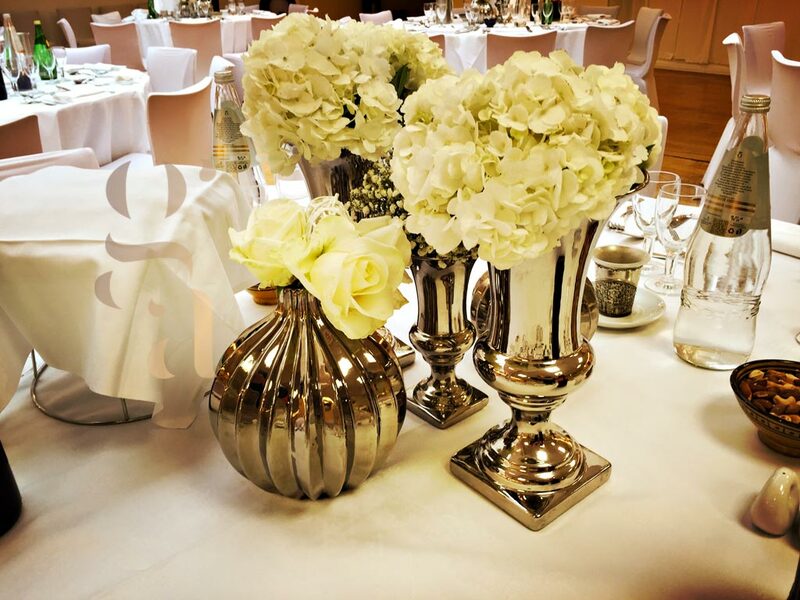 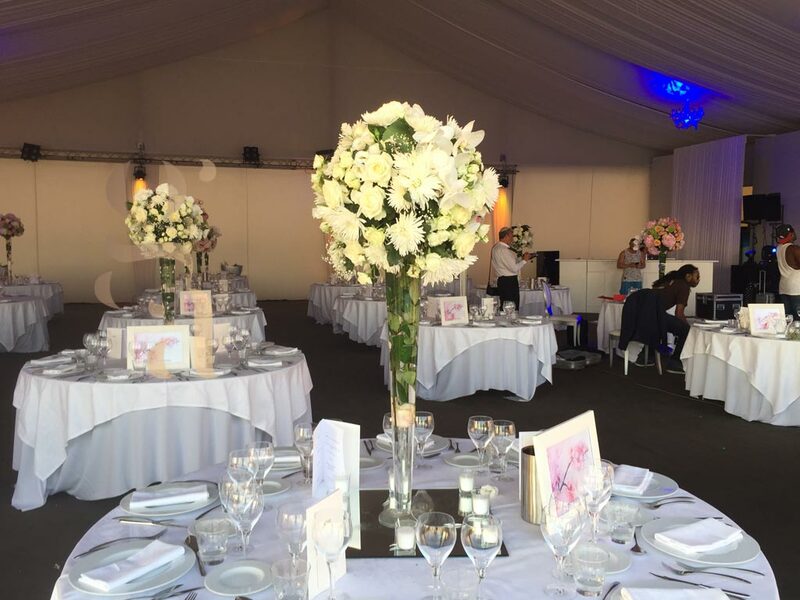 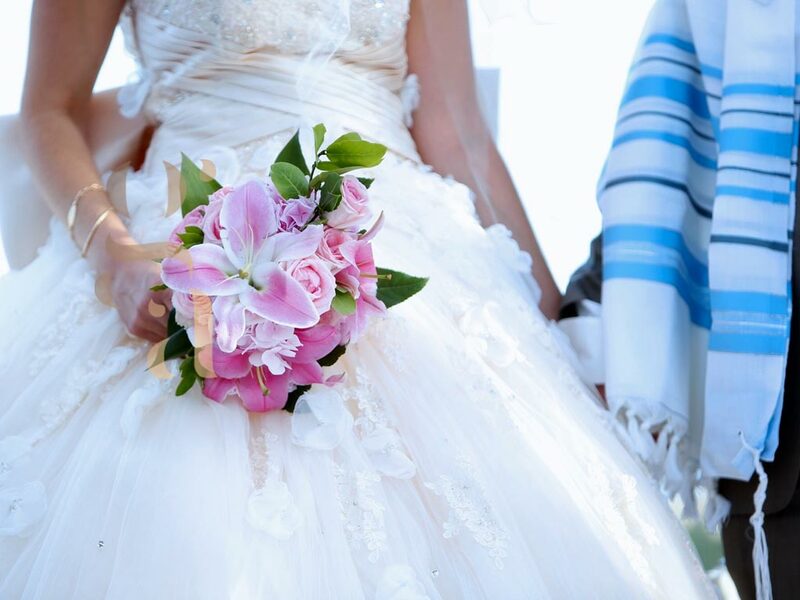 For weddings, Bar/Bat Mitzvah, birthdays, all the occasions that you will entrust to GA will be magnified by a beautiful harmony of flowers, scents and colors. 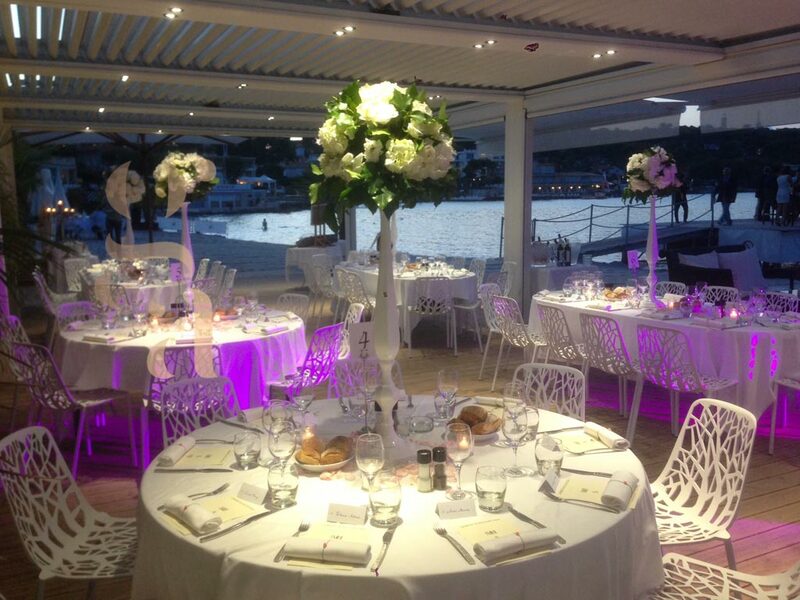 True partner for the development and organization of your event on the French Riviera from Monaco to St Tropez.